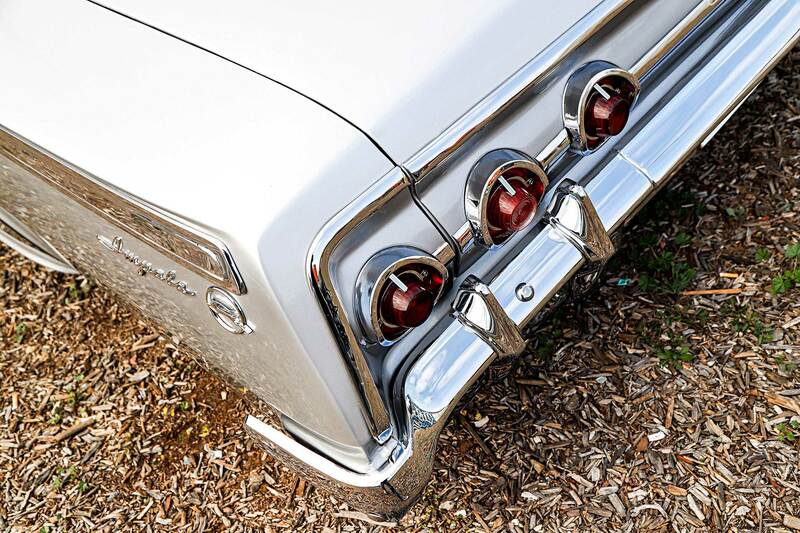 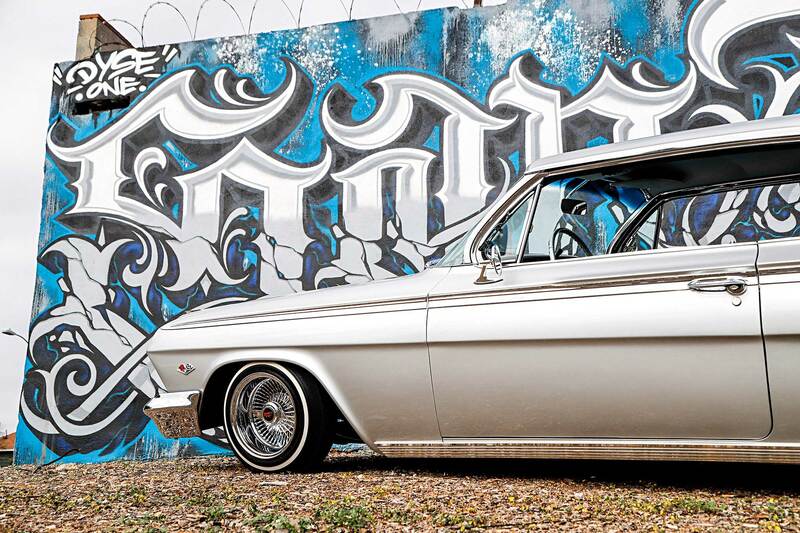 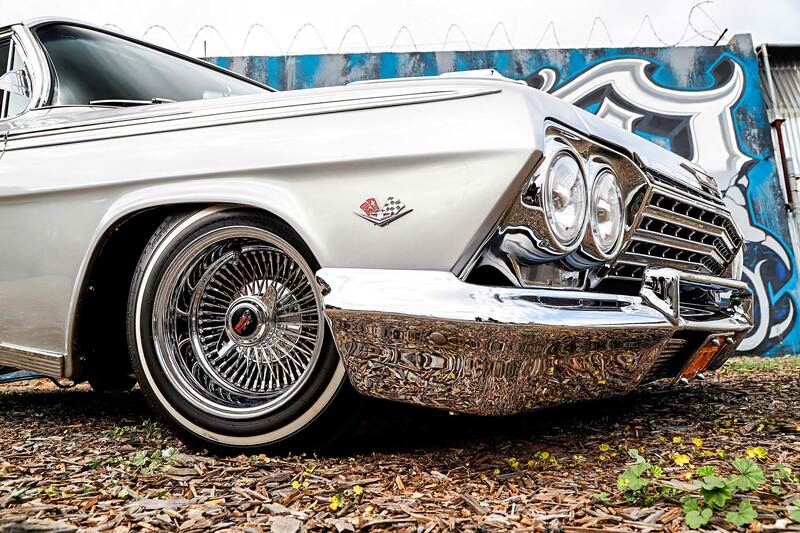 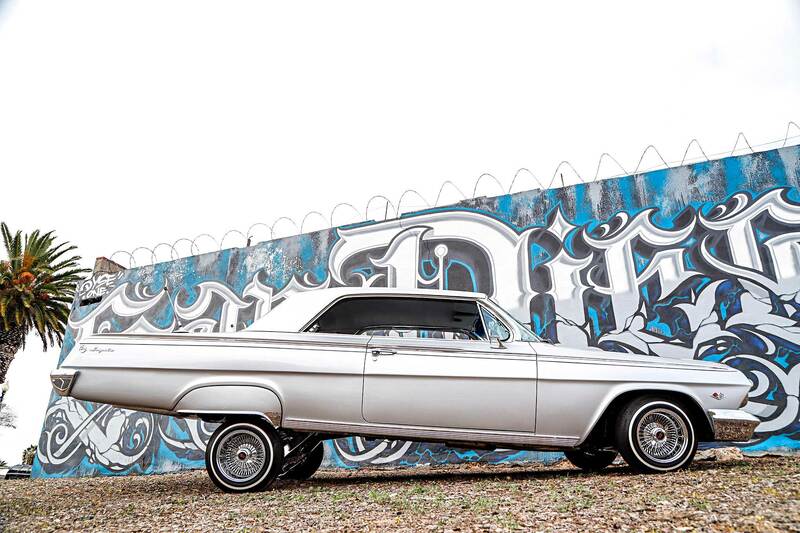 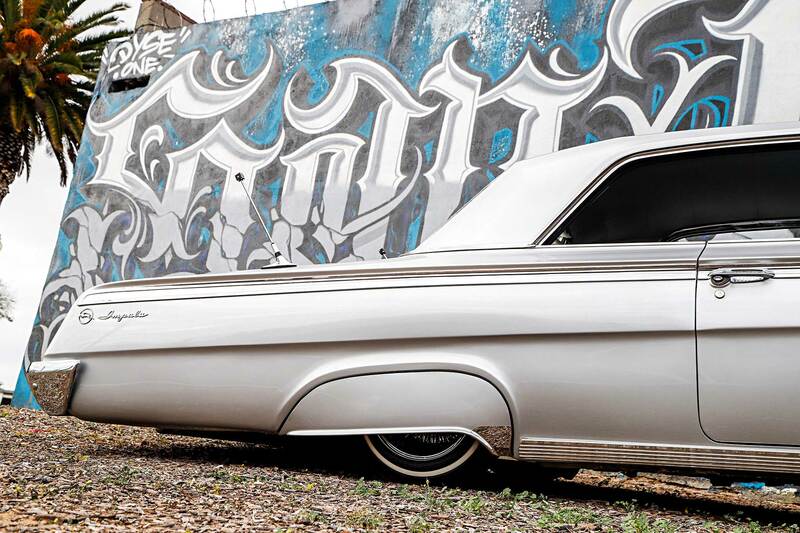 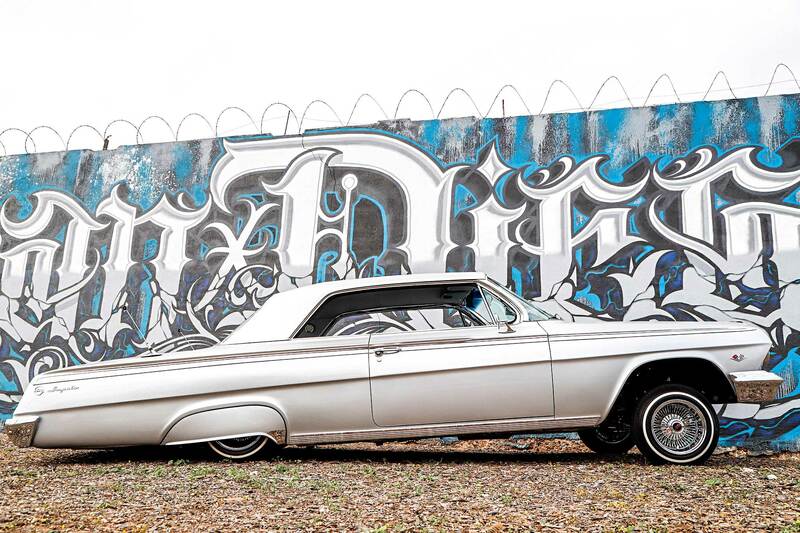 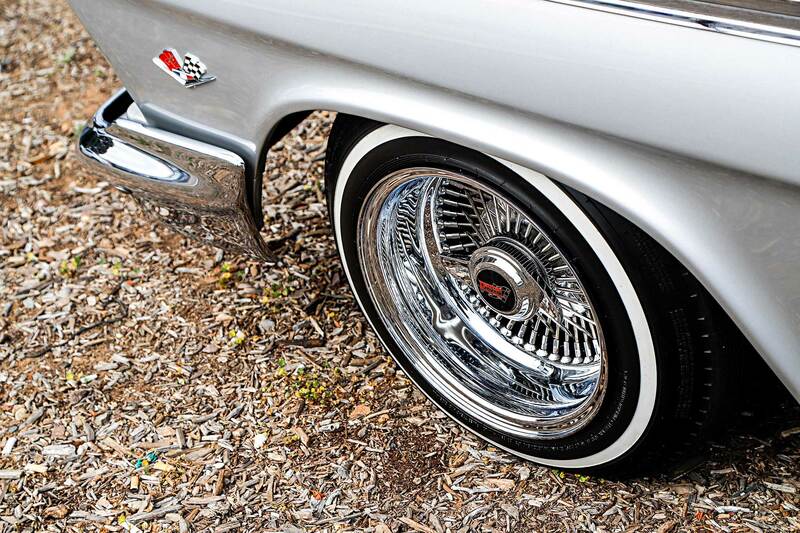 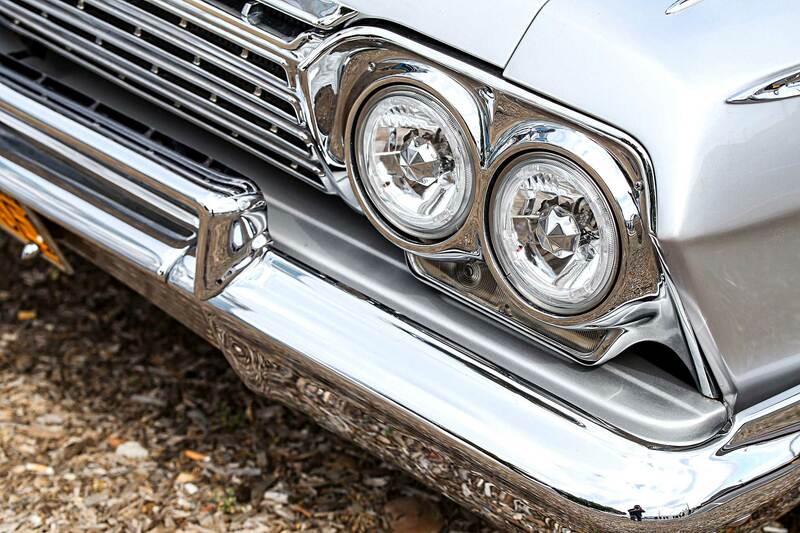 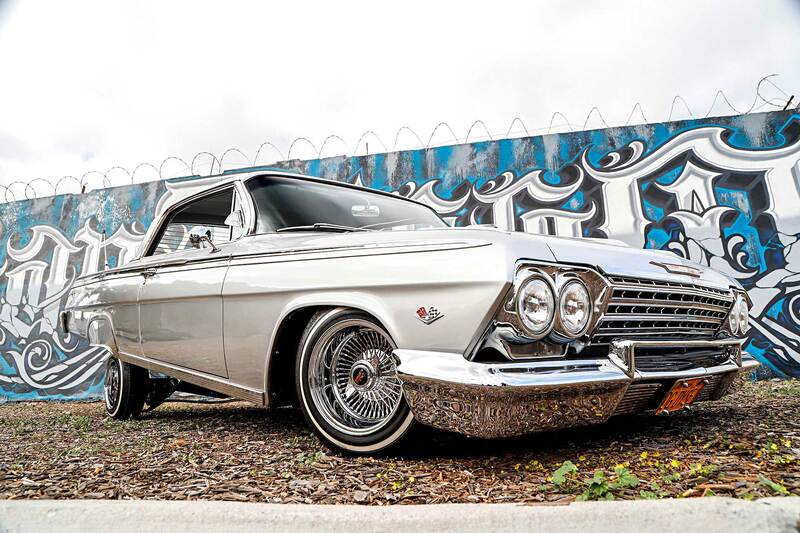 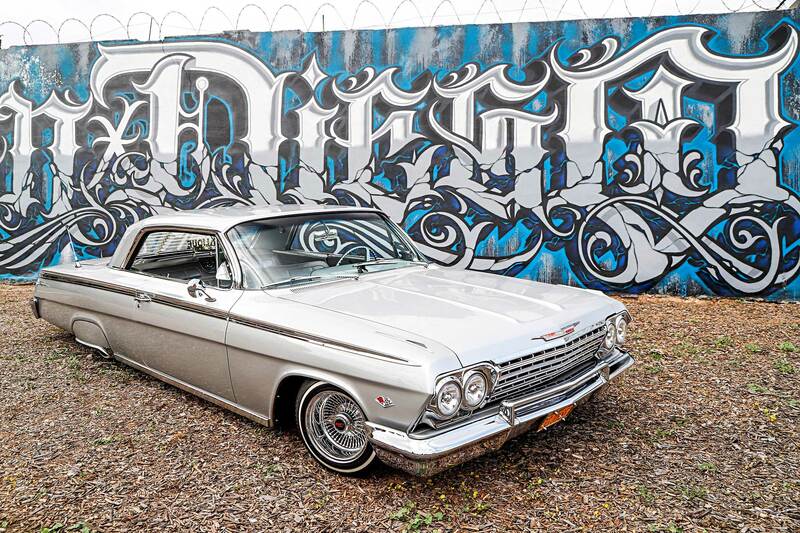 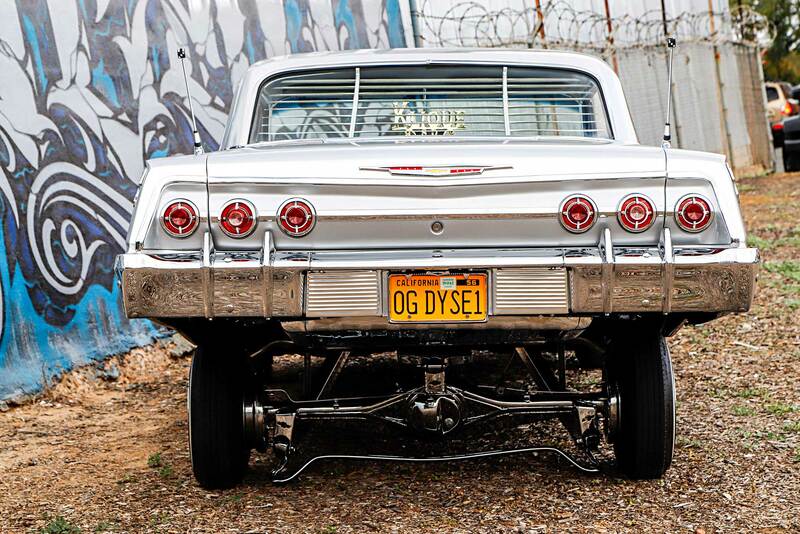 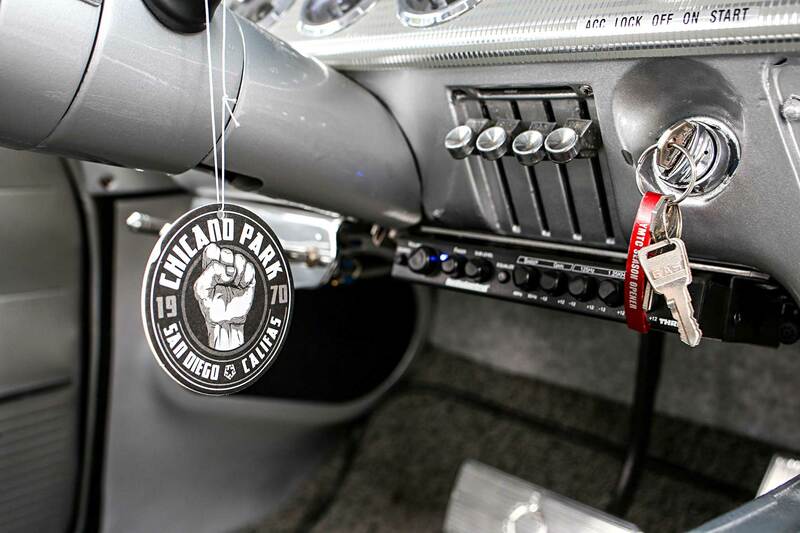 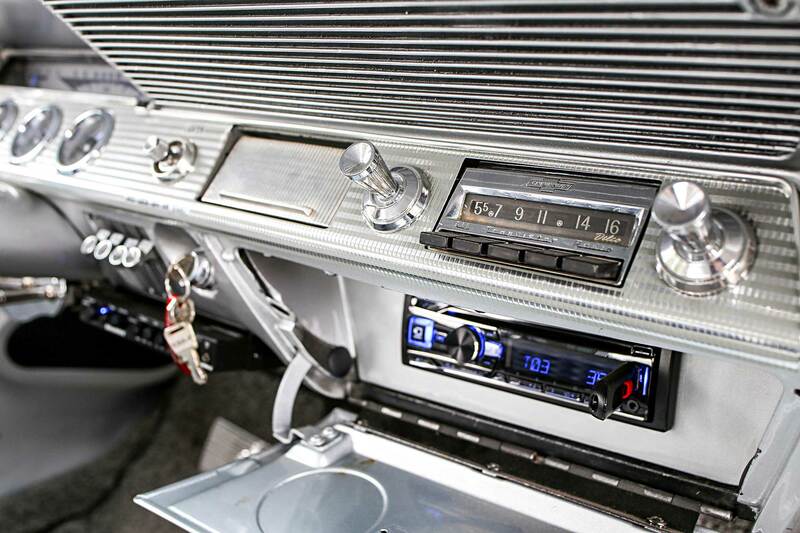 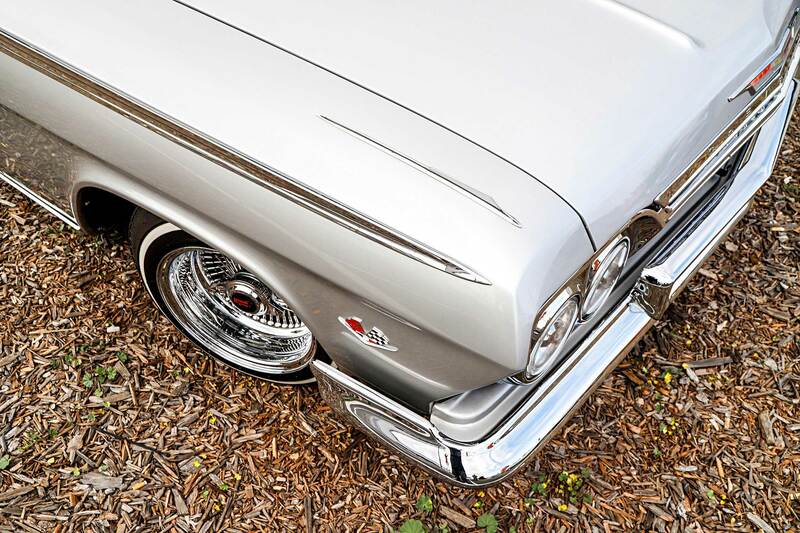 Clothing creative and entrepreneur Dyse One took time away from his flourishing business to dedicate a good part of two years to focus on completing his 1962 Chevy Impala. 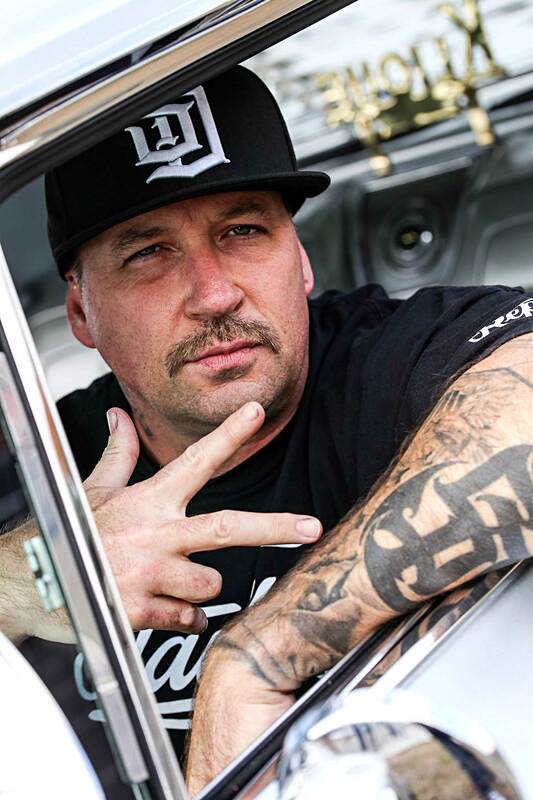 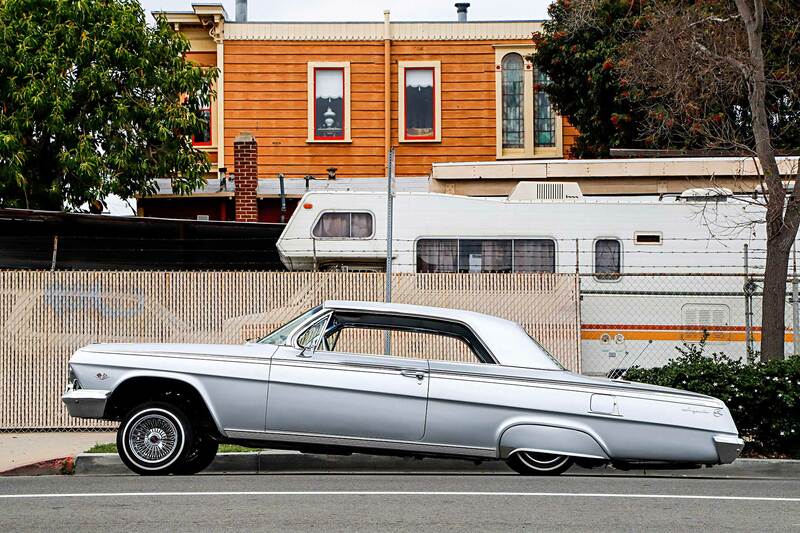 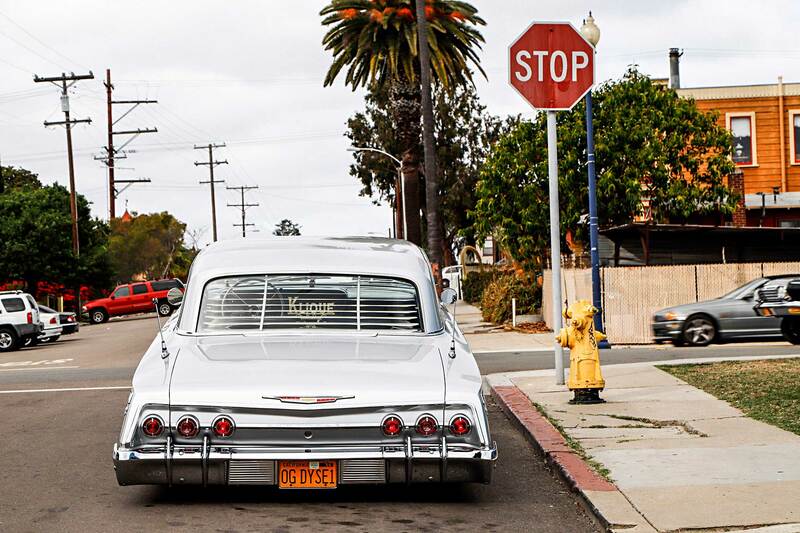 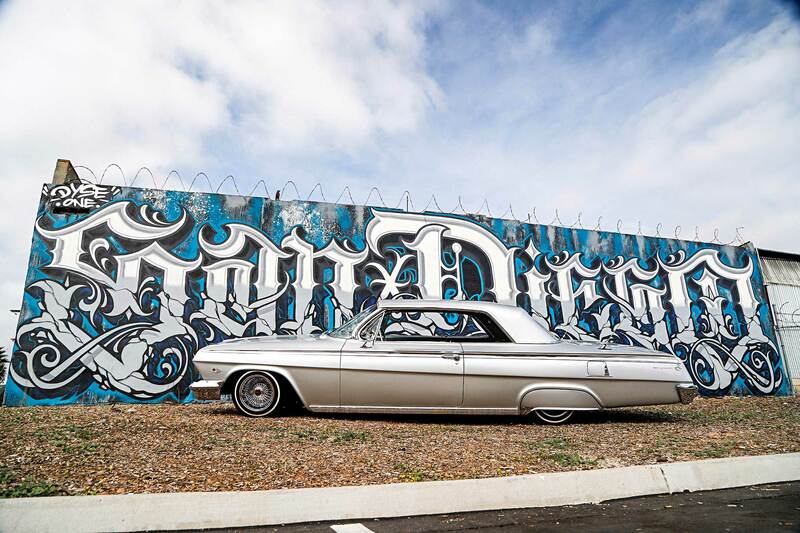 The ride, which he affectionately dubbed “Dyse Deuce,”is a vehicular representation of his artistry and impact in the San Diego street scene. 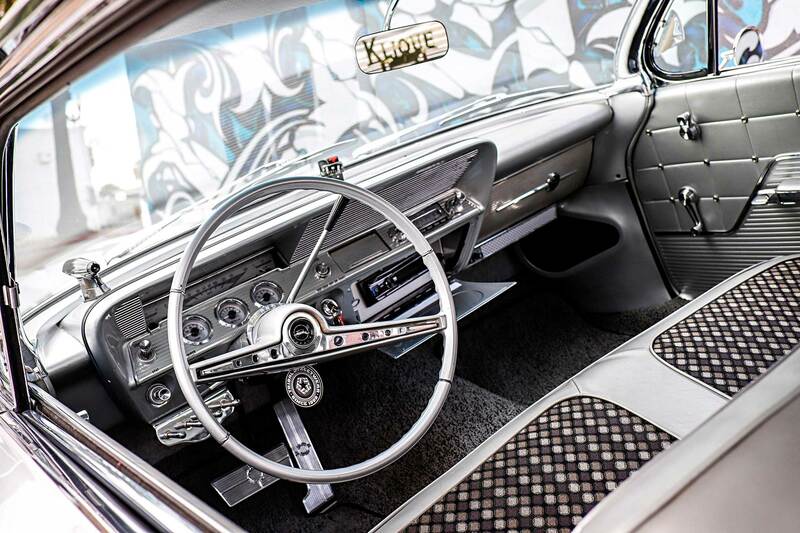 It took home a First Place award just recently at the Extreme Auto Fest. 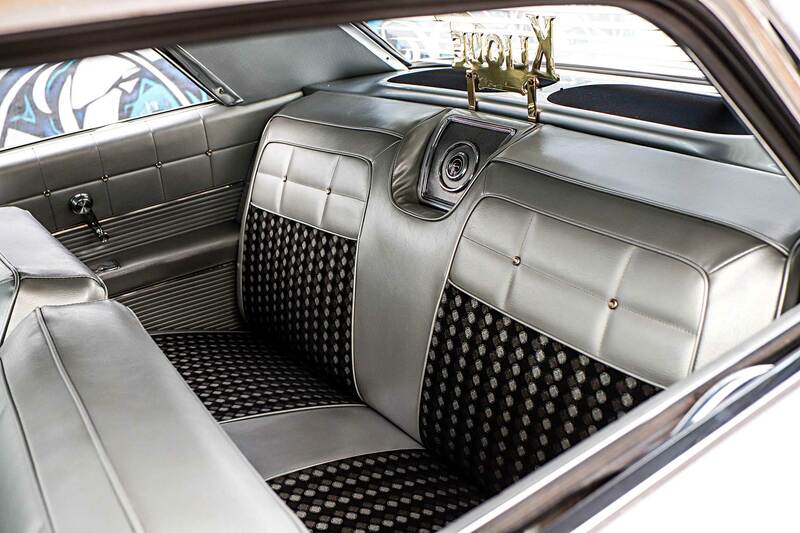 From the outside it shines in brilliance; equally impressive is the inside where you’ll find classic silver-themed lines that border the bench seats and side panels. 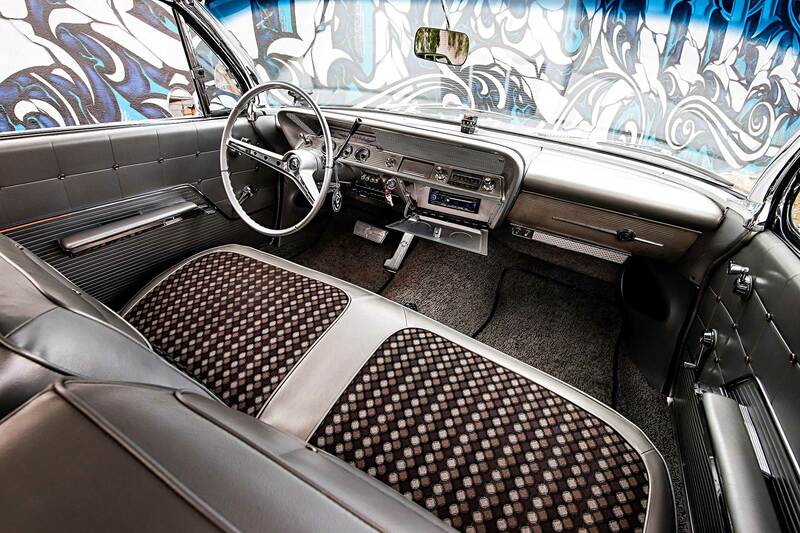 A bold, mid-century pattern also highlights the center of the seats while Klique Customs kept the integrity of the car’s roots throughout the build. 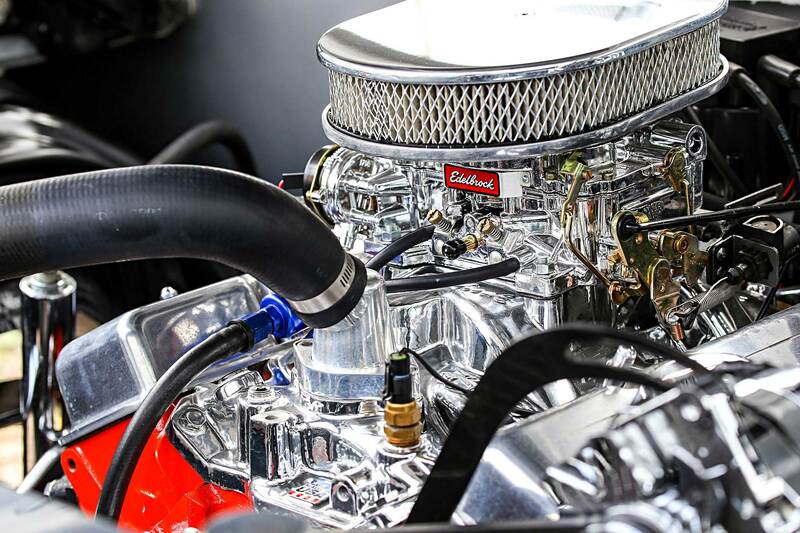 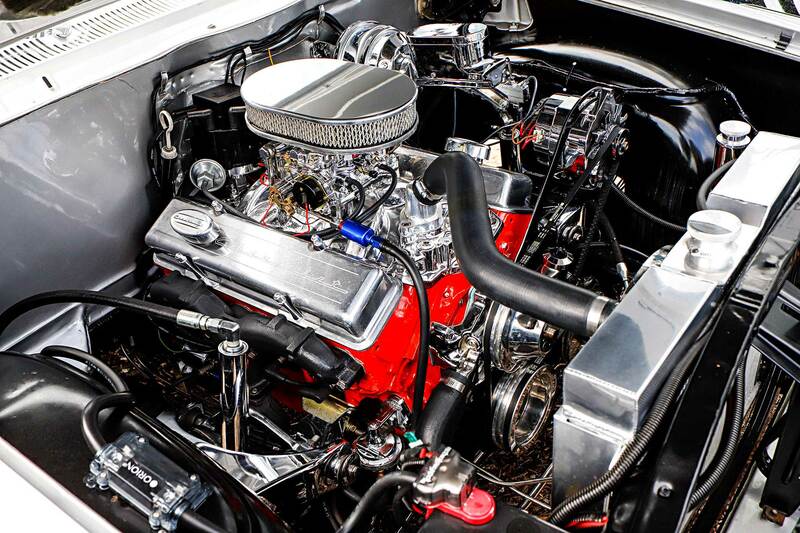 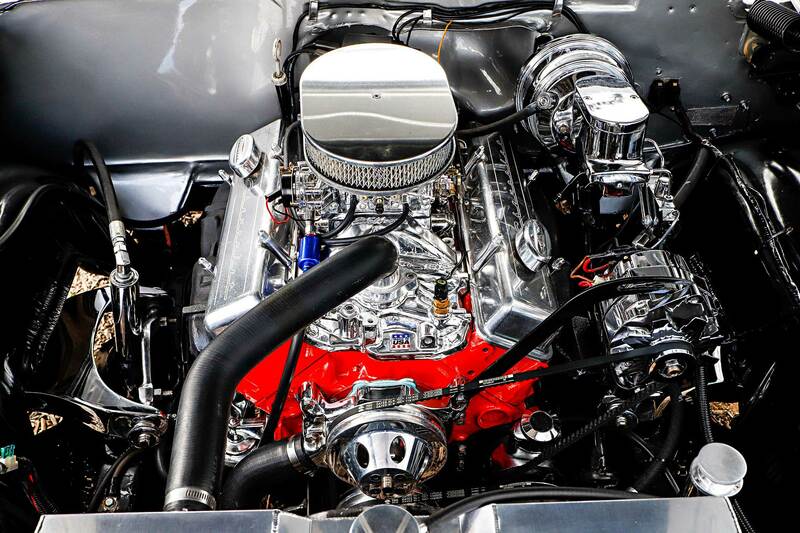 Powering the Impala is a chrome 350 engine built by Universal Automotive, paired to a 700R transmission. 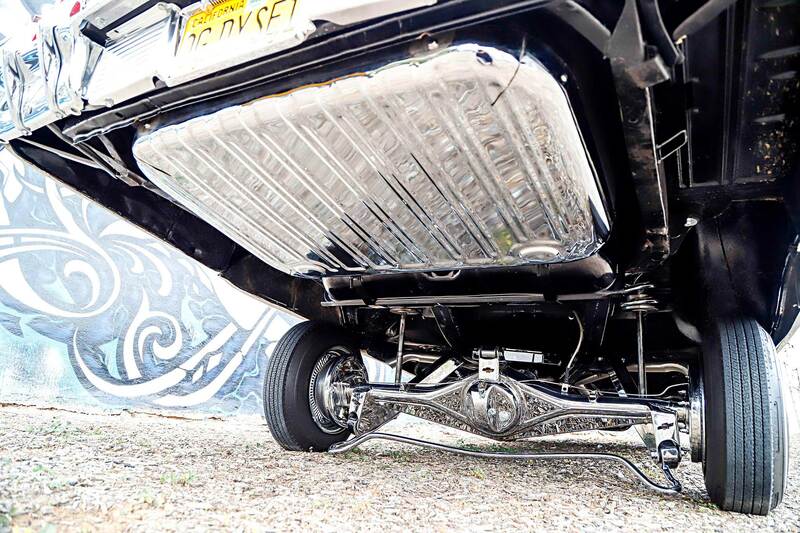 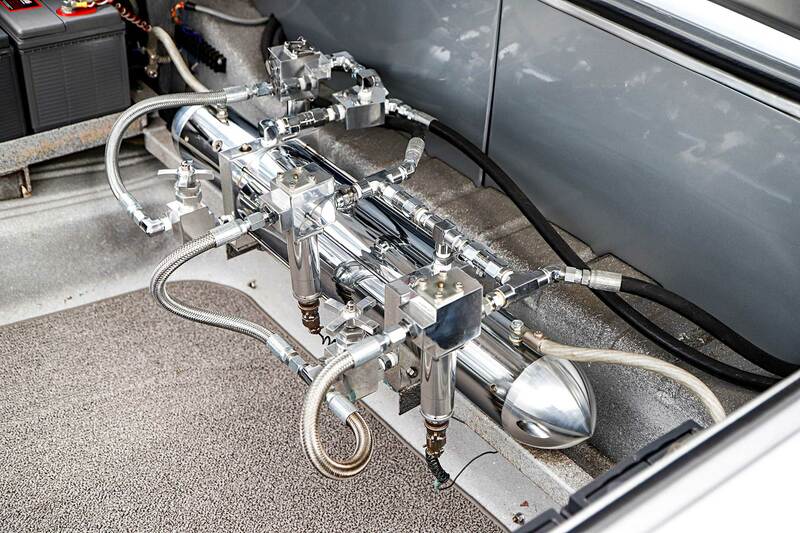 Handling the stance is the latest offerings from Black Magic hydraulics, featuring a two-pump whammy tank setup, which Dyse One had customized, to power the eight cylinders in the front and 12 in the back for optimal power. 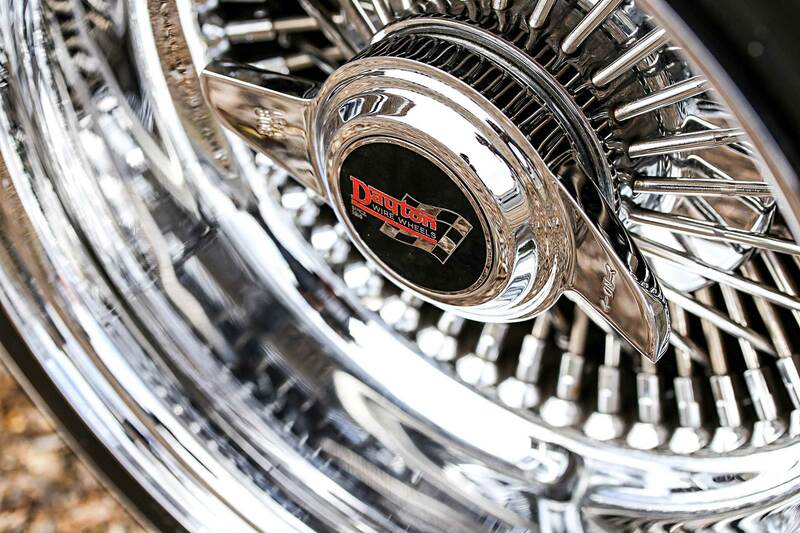 Staying true to the street scene, Dyse Deuce is fit with the iconic, and very necessary, 72-spoke 13-inch Dayton wire wheels forced into a set of 5.20 Premium Sportways. 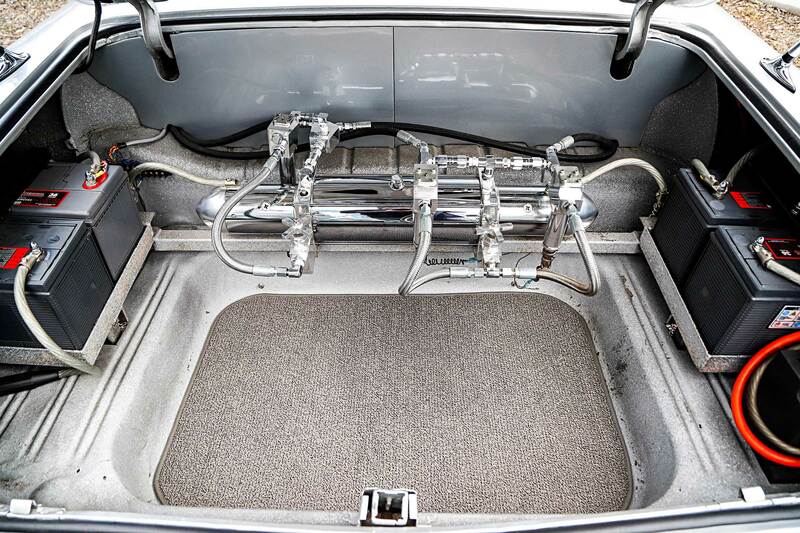 Auditory ambiance is loud and knocking thanks to triple JL (WS) subs powered by three JL amps and controlled by an Alpine head unit. 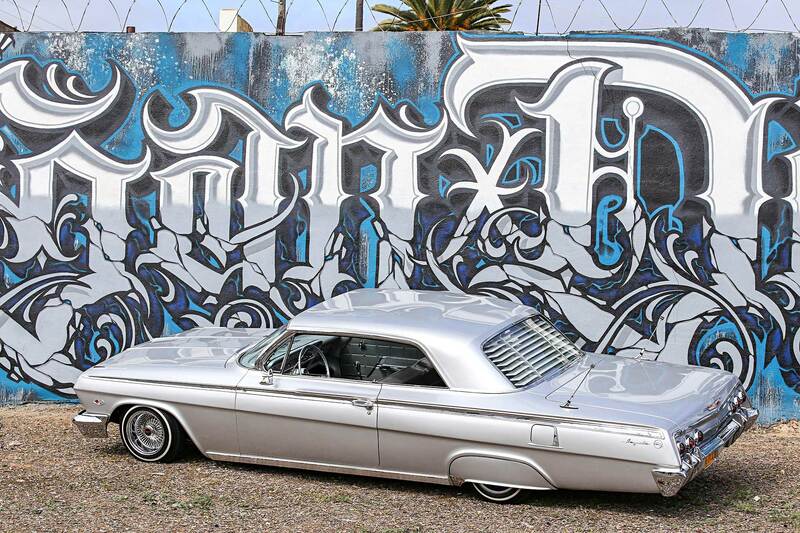 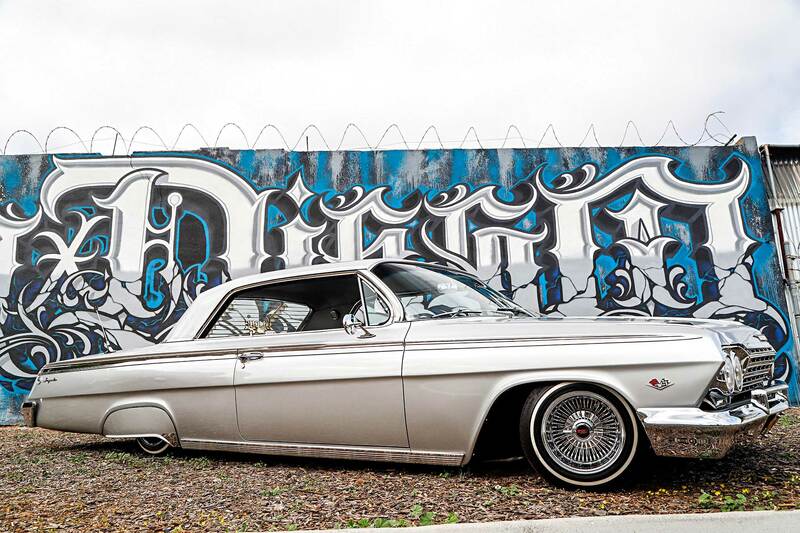 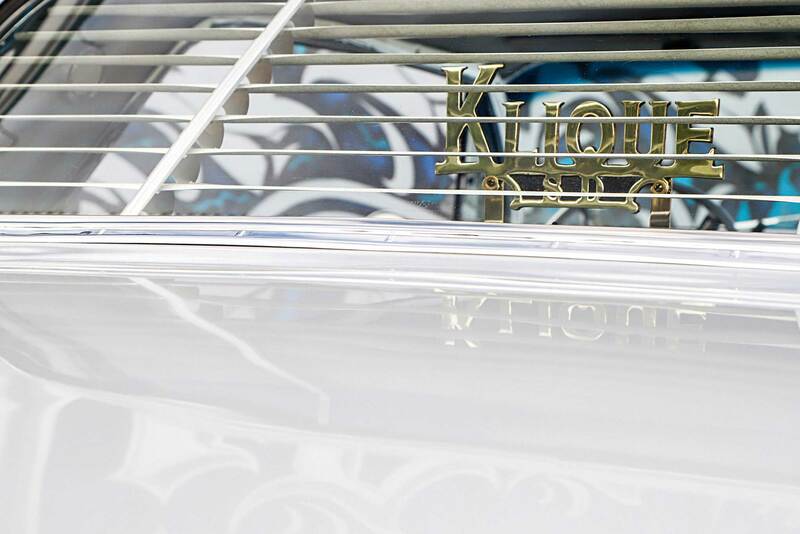 Though two years is a short time to create such a magnificent work of art, the rebirth of Dyse One’s Impala could not have been possible without the support of his lovely wife, Yvonne, Conejo at Universal Automotive, and his car club, Klique San Diego. 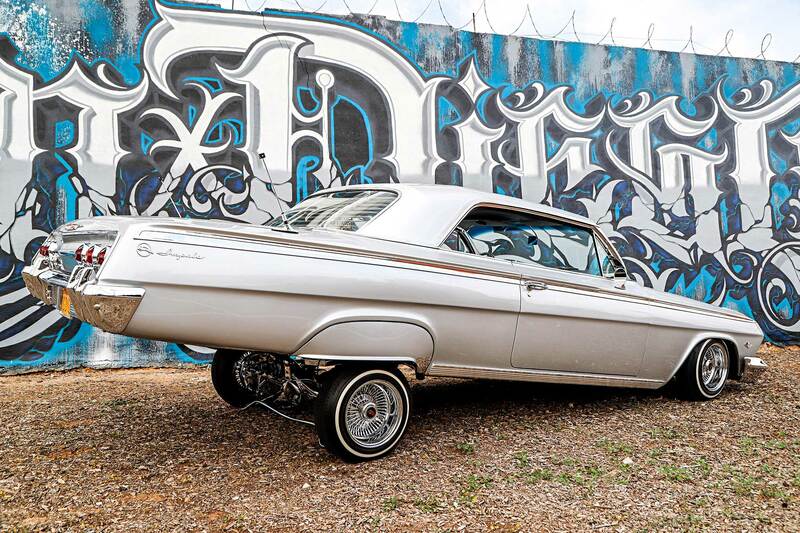 It’s a fine representation of lowriding and a continued contribution to art by a man who feeds off his creativity and hunger for design.